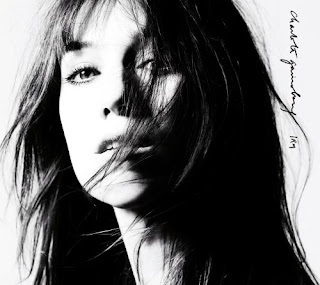 You should be listening to Charlotte Gainsbourg's IRM right now. That's really it. The album is incredible, densely layered and brilliant every time you run through it. Gainsbourg's first release since 2006's 5:55, IRM functions as a beautiful aural victory lap. Every song is unique, some focusing on specific era and genre more than others, but they all knit into an intricate, hard-drumming-guitar-guided-synthy-digital quilt. Beck's hand (and vocals on "Heaven Can Wait") in the production of the album certainly enhances the product, and his influence is felt greatly in tracks like "IRM" and the Cash-esque freight train "Dandelion" (which actually folds in on itself until it becomes something altogether different. IRM is so impressive and refreshing because it refuses to be one thing or another, but excels at being all things at once. "Le Chat du Café des Artistes" pops into the album with dramatic, '60s style strings and a powerful looping echo to accompany Gainsbourg's beautiful French vocal. This high-drama homage to her father's work follows the "IRM" synth-folk and comes just before the delicate, acoustic throwback "In The End." And while on a lot of other albums, this kind of stylistic fluctuation might be unwelcome, Gainsbourg simply seems in the thick of a showcase. The best comparison would be to Super Furry Animals' Rings Around the World which runs the gamut stylistically, but lives by it rather than dying. The variety! "Time of the Assassins" is a powerful britpop job, utilizing a distant harpsichord to build mystery and then cranks into rock excellence with every chorus, compositionally it feels like the best PJ Harvey or St. Vincent, with a heftier helping of '60s style. And then! "Trick Pony" drives you with chunky electric guitar, and heavy drums reminiscent of the most raucous Cat Power track. Even more! "Greenwich Mean Time" is a Euro-dance-pop anthem, funny, with witty lyrics that hold onto a self-awareness, while radio static and jingling guitar and synth fills complete the feeling. And all of this blends together seamlessly. Every song is lush, and decorated, which I know some people find distracting, but it makes this album a true pleasure to listen to. The use of strings, and xylophone/vibraphone percussion with brass and woodwinds to fill in all the blanks lends the album a sense of permanence that's lost in an abyss. "Vanities" plays entirely to this vibe, and sits in the center of the album, almost an intermission or portal from one portion of existence to another. It's big, and complex, and droning and hollow and frightening in its sadness. But, it's so beautiful it cannot be resisted. The album feels that way, to me, as a whole. It isn't sad at all in its entirety, but it's irresistible. And for all the comparisons I've made through this post, they are all flattery. Charlotte Gainsbourg isn't aping any other great artist. No one else could have done this album this way. She's grown something of her own here. It's real and it's unique and infinitely enjoyable. Apparently March is Gainsbourg month at Gas Lantern. Completely unplanned to be honest, but it sure makes it look like I know what I'm doing. Actually, I had been planning to write about Serge for a long time, and just finally got around to it. And then Charlotte's album was a must buy for me this weekend. I didn't know I'd be so immediately moved as to write about it so soon, but that's how good this album is. It's a 9 or a 4.7 or several pentagrams of listening pleasure.